The Wall Street Journal’s Fins Blog ranked the New York Times Bestseller, Getting More, as “The #1 book to read for your career in 2011.” To be competitive, you need to know what it says. GETTING MORE: How to Negotiate to Achieve Your Goals in the Real World is a proven game changer. Based on Prof. Diamond’s award-winning (and most popular) course at The Wharton Business School, Getting More outlines a new model of human interaction that has helped thousands of people get much better jobs or quickly advance in their careers, made billions of dollars for some of the world’s leading companies, and is now the model Google, the most desired employer according to a recent survey by The Wall Street Journal, is using to train its 30,000 employees. “Practical, immediately applicable and highly effective,” is the way Evan Wittenberg, chief talent officer for Hewlett Packard and former head of leadership development at Google, describes Getting More. Revolutionary, even if counterintuitive, in its focus on people and emotions instead of power and logic, Diamond’s career-focused approach is different—he does not teach a one-size-fits-all solution. “Effective negotiation is situational,” Diamond says. As opposed to cookie-cutter career advice, Diamond offers readers very situation-specific guidance and a wealth of real-life examples from his negotiation course at Wharton. His advice for success is centered on a few simple steps: think about your goals; think about any problems you might encounter in obtaining those goals; identify the parties that can help you; then think about their needs and how you can help. In the past, the traditional working world tradeoff was that employees would contribute their loyalty, skill and time in return for job stability and a living wage. In recent years, however, the balance of power has clearly shifted to employers in most areas. In such an environment, savvy negotiation skills are critical. Valuing and understanding emotions and perceptions is much more persuasive in negotiations than using power, leverage or rationality. In fact, making a human connection is six times more likely to meet one’s goals, 90% versus 16%. Gather intelligence. Find out who’s been there forever and knows secrets to success: it can be a relatively low-level employee, like the cleaning staff, security guards or lifelong administratives, and contact people who have left the company as they are great resources. Make yourself more valuable to the company by finding out what it fears and fixing it: whether staffing at certain times, or a language skill, or some other resource. Don’t ask for a lot at once. Be incremental and keep bootstrapping yourself. It’s much better to ask how you can get a raise for future performance than ask for a raise for past performance. Find their standards and meet them. Tailor separate resumes for each company, and a cover letter for each person, contacted, explicitly covering their needs and interests. Do research first. Continue to find creative ways to get in the door, even if it means volunteering your time and expertise for a company. This often leads to a paid position. Be persistent, but not pushy. In an interview, always answer questions quickly and succinctly. Don’t be evasive. Be early, make eye contact, smile. If you put Diamond’s advice into play, you will increase your chances of getting a job, keeping a job, doing better at a job—or finding better employees. The typical return on investment is 5,000% in 30 days. Readers say they have saved thousands of dollars the same day they started using the tools in the book, and gotten raises at work that same week. Diamond’s approach is a structured process that will help you get more with reliability and confidence. Among the corporations Diamond has advised are Google, Microsoft, JP Morgan, and Prudential, managers from more than 200 of the Fortune 500 countries and business and government leaders in 45 countries. Together his course participants have made or saved billions of dollars for themselves and their companies. 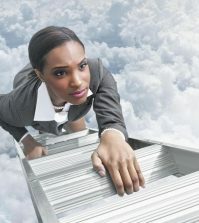 Individuals using his negotiation tools have won promotions and advanced their careers. A business school graduate who was rejected by 18 firms got offers from each of the same firms he contacted after using Diamond’s negotiation tools. After 6 offers and 6 more final interviews from the first 12 firms, took a job and declared the process a success. 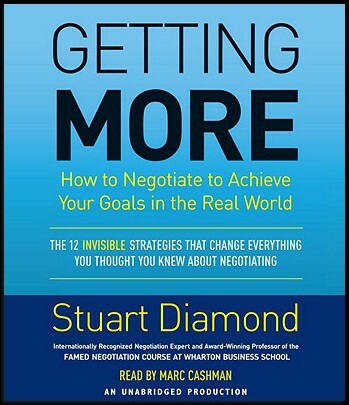 Stuart Diamond is one of the world’s foremost experts on negotiation. He has taught and advised many Fortune 500 companies and has consulted with governments and public and private entities in dozens of countries, including Kuwait, Jordan, China, Russia, Brazil, Argentina, Kazakhstan, Korea, Nicaragua, and Mexico, as well as the United Nations and the World Bank. His award-winning course on negotiation at the Wharton School of the University of Pennsylvania has been rated the most popular in the school by students over the last 13 years. A former associate director of the Harvard Negotiation Project at the Harvard Law School, he has been an executive or director in a variety of businesses, including aviation, agriculture, and high technology. 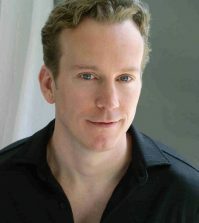 His negotiation process was used to quickly solve the 2008 Writers Guild strike in Hollywood after a year of conflict. He holds a JD from Harvard Law School and an MBA from Wharton. He is also an adjunct professor at Penn Law School, and has taught at the business schools of Columbia, NYU, USC, and UCal/Berkeley. Previously, Diamond was a Pulitzer Prize–winning reporter for the New York Times. He has written more than 2,000 published articles. He lives with his wife and son in the Philadelphia area.